Amazing article on the verge about how the army created a song hiding a message ("19 people rescued. You’re next. Don’t lose hope") so that hostages of the FARC could hear it on the radio. There was this disturbing video of a captive soldier in a North Vietnamese prison who when forced to do a fake interview, blinked the Morse Code 'T-O-R-T-U-R-E'. I just ran into amazing tutorials for sed and awk, two famous text processing tools on unix. If you are a student looking for an internship in Cryptography, that might be the right post for you. Those past few months, before landing an internship at Cryptography Services, I applied in many places around the world and went through several interviews. Be it irl interviews, phone interviews, video interviews... I traveled to some remote places and even applied to companies I really did not want to work at. But those are important to get you the experience. You will be bad at your first interviews, and you don't want your first interviews to be the important ones. Put yourself in the employer's shoes, he doesn't want to read a cover letter, he doesn't want to spend more than a few seconds on a resume, he doesn't want to hurt his eyes on horrific fonts, too many colors and typos. Ditch all those premade themes. Okay, if you're really bad at building a nice layout, maybe you should use a premade theme, but then use a very simple/plain one. No more than one page (you're a student, don't be cocky). Be simple. Don't write something that belongs in the cover letter. There is a lot of theory on C.V. making. I'm sure you can find better resources on how fabricate your resume. Write well, make your friends read it, take a break and re-read it. Side projects are important, like really important. If you don't have anything to show you're just as good as the next student, (almost) no one will ask for your grades. Also if you're looking for something in development, applied crypto, get a github. Many employers will check for your github. And, you know, you could... you could write a blog. That's a nice way to write down what you're learning, to motivate you into reading more about crypto and to be able to show what you're doing. Check with your professors, they usually know a list of known companies that do crypto. In France there are Thales, Morpho, Airbus and many big companies that you might want to avoid, and also very good companies/start-ups like Cryptoexpert, Quarkslab, ... that you should aim for. You can also ping universities. They will usually accept you without an interview but will rarely pay you. If you really want to do academic researches, you should check some good universities in Finland, France, California, Sydney, India... wherever you want to go. Preparing for an interview is a really good opportunity to learn many things! If you know what the subject is about read more about it beforehand. If you don't know anything about the internship subject, read more about what your interviewers have done. If you don't know anything because you have been talking to a PR all along then you might want to rethink applying there. In all the interviews I've done I just had one PR interview. I would advise you to refuse/avoid those, unless you really want to work for the company, as it's most always a waste of time /rant. How do you obfuscate a program? How can you tell a cipher is secure? How do stream ciphers work? How are points on an Elliptic Curve represented? What prevents me from signing a bad certificate? How to do it with Perfect Forward Secrecy? How does a compiler works? You have a smartcard you can inject code on, what do you do to perform a DPA? You've recorded traces from the smartcard, do you have to do some precomputations on those traces before doing a DPA? An interview should be an interaction. You can cheat your way through by trying not to talk too much, but it still should be a conversation because eventually, if you get the job, you guys will be having real work conversations. You should be a nice dude. Because nobody wants to work with a boring, elitist dude. You should never correct the interviewer. This feels like a stupid advice but correcting someone that knows more than you, even if you are right, might lead to bad things... Wait to be hired for that. You should never let the interviewer tell you something you already know. This is an occasion for you to shine. If you can't answer a question, ask the interviewer how he would have answer, this is a good opportunity to learn something. Eventually, ask questions about the job, the workplace, the city. Not only they will appreciate it, it is showing that you are interested in their job, but it's also nice for you to see if the company is the kind of place you would like to work at (it also makes the table turns). I don't know if any of you were planning on bullshiting but we're in a technical field, avoid bullshiting! I finally chose where I'll be doing my internship to finish my master of Cryptography: it will be at Cryptography Services (a new crypto team, part of NCC Group (iSEC Partners, Matasano, IntrepidusGroup)). I will be conducting researches and audits in the offices of Matasano in Chicago. I'm super excited and the next 6 months of my life should be full of surprise! Cryptography Services is a dedicated team of consultants from iSEC Partners, Matasano, Intrepidus Group, and NCC Group focused on cryptographic security assessments, protocol and design reviews, and tracking impactful developments in the space of academia and industry. Zokis wrote some tests on python, showing that a difference in declarations and simple syntax do have implications in the size of the program and the rapidity of execution. The differences seem negligible though. dis and timeit were used to quantify the tests. # python -c "print 'haha'"
# python -i -c "a = 5"
I was trying to access the Journal of Cryptology on Springer but I had to pay. Thanks to __x86 I realized I had free access to Springer thanks to my university! So this post is oriented to my fellow classmates. If any of you want to check something there, it's free for us! (Well until we graduate). I'm reading through A Key Recovery Attack on Discrete Log-based Schemes Using a Prime Order Subgoup which is a Small subgroup confinement attack. The Pohlig-Hellman Algorithm is a method to compute a Discrete Logarithm (which is a difficult problem) on a multiplicative group whose order is a smooth number (also called friable). Meaning its order can be factorized into small primes. Here y is the public key, x is the secret key we're trying to compute. The order of g, our generator, is p - 1 since p is prime. Following is an overview of the method, if you read an equation and feel like it comes from nowhere (and it should feel like that), I posted a very short paper containing the simple proofs of those bellow. The idea that should come to your mind, if you're used to seeing that kind of problem, is that there might be a way to use the Chinese Remainder Theorem (abbreviated CRT) to our advantage. What if we could write x modulo the factors of p - 1 and then reconstruct the real x with the CRT? Well, let's do just that! We then have a discrete logarithm to compute, but a small one, that we can compute efficiently thanks to Shanks' method (baby-step giant-step) or Pollard's rho algorithm. Then we have multiple ways of writing our x (modulo the factors of p - 1) and we find out what is x with CRT (I explained this step in my airbus write-up here). Since I've made my first tournament app in ~2005-2006 I received many request to make an open source version available. Back then I didn't really want to release something badly coded so I just kept it for myself and allowed people to go through my online app to create tournaments. It caught up, it was translated in 8 different languages (sometimes badly translated though) and used all across Europe in real life and on IRC (I think there was something like 7000 different organizations that got created through the app). One day some dude skyped me and offered me 80€ for the sourcecode. I made 80€. I then rewrote everything using new technologies I had learn or I wanted to learn. CodeIgniter, Zurb Foundation, jQuery, Sass... It was kind of a mess and I must have scared away all the users it had. Eventually I didn't renew the domain name and people started complaining and asking me to hand them the app. I was sad that there was so many people asking for a tournament app, and that mine was not out there anymore. So yesterday when someone asked me if he could have the code I uploaded everything on Github. The code is old, and it's a mess. The sass is nowhere to be found. I even wonder if it's really secure. But it works, it's easy to setup, and if it gains traction I might want to get back into it. If there was one project I fell in love with, it was this one. What do security experts think about that? Here's a piece from Marc Roger called No, North Korea Didn’t Hack Sony. So you can guess what the director of security operations for DEFCON and principal security researcher of Cloudflare is thinking. I worry that this case echoes the "we have evidence -- trust us" story that the Bush administration told in the run-up to the Iraq invasion. Identifying the origin of a cyberattack is very difficult, and when it is possible, the process of attributing responsibility can take months. To dig further... Nicholas Weaver posted an interesting article. Kurt Baumgartner as well. Interactive Protocols are basically a discussion between a Prover and a Verifier where the Prover has some piece of information he wants to prove, without giving out the information. It is often illustrated with Peggy and Victor and their super tunnel. Prover sends a fixed value. The Verifier can then verify the answer based on the fixed value. If the answer is correct, the Verifier can assume the Prover knows what he's trying to prove. Sometimes you have to repeat the protocols multiple time to be sure, and not all problems have an Interactive Proof. Classic examples of such proofs can be found on the Discrete Logarithm problem (we'll talk about that later) and the Hamiltonian Cycle problem. Complete: a Prover can successfully answer the challenge if he is honest. Sound : a dishonest Prover cannot convince the Verifier he knows the secret. In the real definitions we use probabilities (an honest prover still has a small chance of making a mistake, a dishonest prover still has a small chance of convincing the Verifier). We also often want a 3rd condition on our Interactive Protocols: we want it to be Zero-knowledge, no information about our secret should be leaked in this interaction. Completeness: Can the Prover answer correctly thanks to his secret? Soundness: From the point of view of the Verifier. If the Prover can correctly answer two different challenges for the same fixed value (however he crafted the answers and the fixed value), does it mean that he must know the secret then? But let's talk about something else. Since we said that a recorded transcript of a past interaction has no value (if it is zero-knowledge), then we could assume that there is no way of proving something by showing an old transcript, or by showing a transcript with yourself. Don't fool yourself! Yes we can. We do this by using hash functions that we deem random enough. The idea is that, by replacing the Verifier by a random oracle, we cannot predict the challenges and we thus cannot craft a fake transcript (we like to use random oracles instead of hashes, to prove some scheme is secure). a random oracle is an oracle (a theoretical black box) that responds to every unique query with a (truly) random response chosen uniformly from its output domain. If a query is repeated it responds the same way every time that query is submitted. What is interesting is that this protocol was used in a Signature Scheme. The most famous academic example of Interactive Protocol is done using the Discrete Logarithm problem. we have <g> = G, with g of order q. The Prover wants to show he knows x in g^x = y. (t, h(t), d) with h a hash function. he would then send (c, d) as the signature, along the message m. Which is basically a hash of the message with a proof that he knows the secret x. To verify the signature you would use the public key y = g^x to compute y^c * g^d = t and then you would compute the hash. It would give you the proof that the signer knows x (authentication, non-repudiation) and that the message hasn't been tampered (integrity). So this is one way of using Non-interactive proofs! A great FAQ, written by Marc Joye (Thomson R&D), on Whitebox Cryptography. Thansk Tancrède for the link! Q1: What is white-box cryptography? A major issue when dealing with security programs is the protection of "sensitive" (secret, confidential or private) data embedded in the code. The usual solution consists in encrypting the data but the legitimate user needs to get access to the decryption key, which also needs to be protected. This is even more challenging in a software-only solution, running on a non-trusted host. White-box cryptography is aimed at protecting secret keys from being disclosed in a software implementation. In such a context, it is assumed that the attacker (usually a "legitimate" user or malicious software) may also control the execution environment. This is in contrast with the more traditional security model where the attacker is only given a black-box access (i.e., inputs/outputs) to the cryptographic algorithm under consideration. Q2: What is the difference with code obfuscation? Related and complementary techniques for protecting software implementations but with different security goals include code obfuscation and software tamper-resistance. Code obfuscation is aimed at protecting against the reverse engineering of a (cryptographic) algorithm while software tamper-resistance is aimed at protecting against modifications of the code. All these techniques have however in common that the resulting implementation must remain directly executable. Code obfuscation means code protection. A piece of code which is obfuscated is modified in order to be harder to understand. As example, it is often used in DRM (Digital Rights Management) software to protect multimedia content by hiding secrets informations like algorithms and encryption keys. 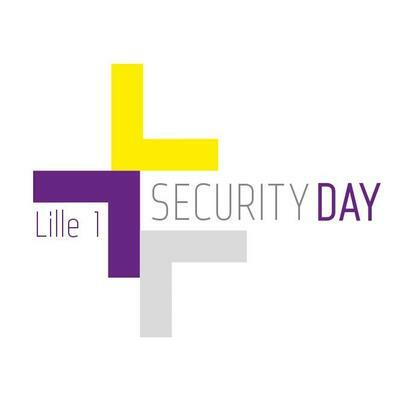 SECURITY DAY will take place at the University of Lille 1, in France, on January 16th. People from Quarkslab (where I almost did my internship), ANSSI, Microsoft, ... will give talks. There is even one of my classmate Jonathan Salwan. As requested, I added a rss feed to this blog. It's available here in markdown, and here in html, choose whichever suits you best. I like how people make an extreme effort to create "sure" source of random numbers. OneRNG has released a new usb source. Everything is opensource (open hardware, open software), you can even create your own by following instructions on their websites. OneRNG collects entropy from an avalanche diode circuit, and from a channel-hopping RF receiver. It even has a “tinfoil hat” to prevent RF interference — you can remove the hat in order to visually verify the components being used.